We didn’t realise we had Freedom VPN at the start. How we discover it was amusing. I realised that we suddenly had more titles to choose from Netflix. We thought the Singapore catalogue has been beefed up. Only after discovering those new titles can only be seen when we are at home, we then realised it was Freedom VPN. There is no need to configure anything. Just watch it. It works across your smart phones, media players and the web browser. It is indeed convenient. It quickly won us over. We now access titles available from the US catalogue of Netflix. We can view BBC, the Chinese media sites and so many more. With the new content that is now available to my family, we ended our cable TV subscription. It is obvious that media content delivered over the Internet is going to be the norm. My children will never experience catering their own schedules around the TV’s programme schedule, or the frustration of being restricted to watching it on the TV. I had described what the user experience is like. Let me lay out the requirements. Sherlock is a brilliant TV show that is not available in the Singapore Netflix catalogue but is, on the US one. When I select Sherlock, what really happens? My web browser asks Netflix for Sherlock. The request has a problem. Where is Netflix? The expression www.netflix.com does not say where it is. It needs an address, an IP address. To translate www.netflix.com to an IP address, it asks a DNS server. When you’re on FreedomVPN, you are asking Viewqwest’s DNS server. 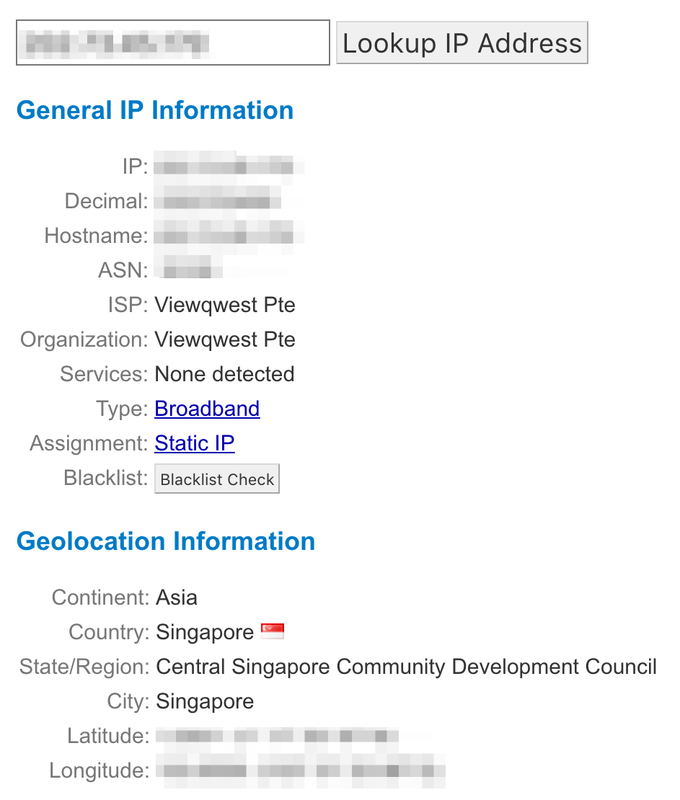 I can’t divulge what the IP addresses are, but I can tell you where they point at: somewhere from Viewqwest’s office, in Singapore. www.netflix.com canonical name = www.geo.netflix.com. www.geo.netflix.com     canonical name = www.us-west-2.prodaa.netflix.com. It is pointing unmistakably to Netflix servers. What does this mean? Masquerading: figurative sense of “false outward show” is from 1670s. Requests are inherently gullible. They are led to believe that Netflix is really at Viewwqwest’s offices. Off they went. Does anyone really believe that the files of Sherlock are kept at Viewqwest’s office? It isn’t. Now, our request needs to be satisfied with Sherlock. Where do we get Sherlock? From Netflix obviously. Why would Netflix give it to the request? Remember, the request came from Singapore. Sherlock is not available for Singapore viewers. That is why we got to tell Netflix that the request did not come from Singapore, but from the US. Look at my screenshot. This came from my activity logs in Netflix. I watched Netflix from US without me physically in the US. Where do the IP addresses point to? 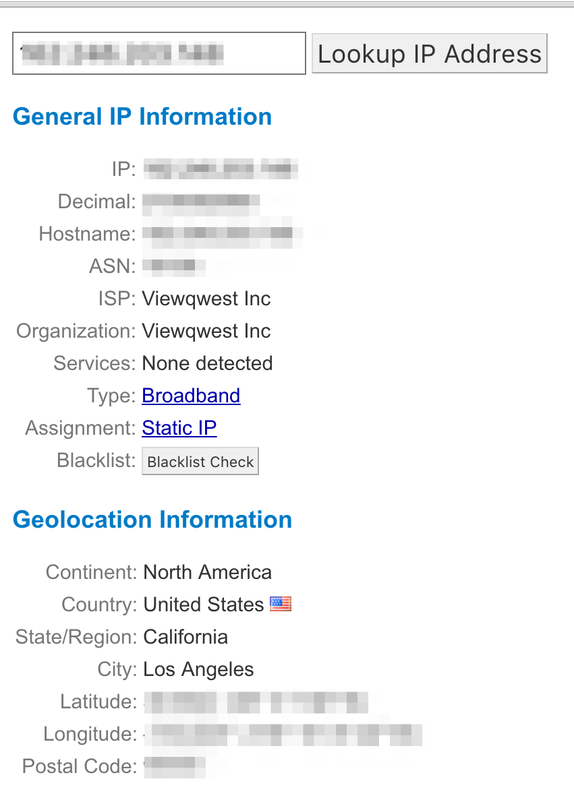 Coming back to our request, what happens is our original request is routed to Viewqwest offices in the US. It then pretends that the source is from the US, sends to Netflix, gets Sherlock, routes back to the Singapore office, and then finally back to the end user, me, happily watching Sherlock duel with Moriarty. FreedomVPN listens actively for requests to their list of supported content websites. It then performs this form of masquerading to geo-unblock content for you. This is FreedomVPN. With Netflix clamping down on proxies, Viewqwest through Freedom VPN is the only vendor that I know of, that is able to circumvent content geo-blocking. They are treading a thin line. I see some Viewqwest customers complain that FreedomVPN is not stable. It will never be. Accept that this is a cat and mouse game. This solution is a workaround, and will never work cleanly unless geo-blocking is abolished. But for the convenience of watching Sherlock with one click, I’m wiling to accept that good enough is good enough.